Match ends, China PR 0, Serbia 2. Second Half ends, China PR 0, Serbia 2. Dusan Tadic (Serbia) wins a free kick in the attacking half. Foul by Feng Xiaoting (China PR). Attempt missed. Zhao Xuri (China PR) right footed shot from outside the box is high and wide to the right. Attempt missed. Andrija Zivkovic (Serbia) left footed shot from the right side of the box is close, but misses the top left corner. Assisted by Ivan Obradovic. Attempt saved. Wu Lei (China PR) right footed shot from a difficult angle and long range on the left is saved in the top centre of the goal. Foul by Andrija Zivkovic (Serbia). Fu Huan (China PR) wins a free kick on the left wing. Attempt missed. Yu Dabao (China PR) header from the centre of the box is too high. Assisted by Wu Xi with a cross following a corner. Corner, China PR. Conceded by Dusko Tosic. Substitution, China PR. Fu Huan replaces Li Xuepeng. Foul by Dusko Tosic (Serbia). Xiao Zhi (China PR) wins a free kick on the right wing. Offside, Serbia. Nemanja Gudelj tries a through ball, but Andrija Zivkovic is caught offside. Attempt missed. Nemanja Gudelj (Serbia) left footed shot from outside the box is close, but misses to the left. Substitution, Serbia. Aleksandar Prijovic replaces Aleksandar Mitrovic. Offside, Serbia. Sergej Milinkovic-Savic tries a through ball, but Aleksandar Mitrovic is caught offside. Foul by Aleksandar Mitrovic (Serbia). Wu Xi (China PR) wins a free kick in the defensive half. Substitution, Serbia. Nenad Krsticic replaces Adem Ljajic. Corner, Serbia. Conceded by Zhang Linpeng. Attempt missed. Aleksandar Mitrovic (Serbia) header from very close range is too high. Foul by Dusan Tadic (Serbia). Zhao Xuri (China PR) wins a free kick in the defensive half. Offside, Serbia. Andrija Zivkovic tries a through ball, but Aleksandar Mitrovic is caught offside. Corner, China PR. Conceded by Antonio Rukavina. Substitution, China PR. Yu Dabao replaces Gao Lin. Substitution, Serbia. Milos Veljkovic replaces Branislav Ivanovic. Delay in match Zhang Linpeng (China PR) because of an injury. Goal! China PR 0, Serbia 2. Aleksandar Mitrovic (Serbia) header from very close range to the bottom right corner. Assisted by Andrija Zivkovic with a cross. Attempt missed. Xiao Zhi (China PR) right footed shot from the right side of the box misses to the left. Assisted by Zhao Xuri. Substitution, China PR. Wang Shenchao replaces Yin Hongbo. Corner, Serbia. Conceded by Zheng Zheng. Attempt blocked. Aleksandar Mitrovic (Serbia) right footed shot from the centre of the box is blocked. Attempt missed. Aleksandar Mitrovic (Serbia) header from the centre of the box is close, but misses to the right. Assisted by Antonio Rukavina with a cross. Corner, Serbia. Conceded by Yan Junling. Attempt saved. Aleksandar Mitrovic (Serbia) header from the centre of the box is saved in the top left corner. Assisted by Dusan Tadic with a cross. Corner, Serbia. Conceded by Yin Hongbo. Attempt blocked. Sergej Milinkovic-Savic (Serbia) right footed shot from the right side of the box is blocked. Assisted by Dusan Tadic. Attempt blocked. Adem Ljajic (Serbia) right footed shot from the centre of the box is blocked. Assisted by Ivan Obradovic. Substitution, Serbia. Andrija Zivkovic replaces Filip Kostic. Ivan Obradovic (Serbia) wins a free kick on the left wing. Foul by Zhao Xuri (China PR). Offside, Serbia. Filip Kostic tries a through ball, but Aleksandar Mitrovic is caught offside. Attempt saved. Aleksandar Mitrovic (Serbia) right footed shot from outside the box is saved in the bottom right corner. Assisted by Adem Ljajic. Attempt missed. Xiao Zhi (China PR) header from the centre of the box misses to the right. Assisted by Wu Xi with a cross following a corner. Corner, China PR. Conceded by Ivan Obradovic. Attempt blocked. Gao Lin (China PR) right footed shot from the centre of the box is blocked. Attempt saved. Zhao Xuri (China PR) header from the centre of the box is saved in the top centre of the goal. Assisted by Li Xuepeng with a cross. Substitution, China PR. Zhao Xuri replaces Zhao Yuhao. Foul by Nemanja Gudelj (Serbia). Wu Lei (China PR) wins a free kick in the defensive half. Offside, China PR. Yin Hongbo tries a through ball, but Gao Lin is caught offside. Corner, Serbia. Conceded by Feng Xiaoting. Attempt saved. Wu Lei (China PR) right footed shot from the centre of the box is saved in the top centre of the goal. Assisted by Wu Xi. Corner, China PR. Conceded by Predrag Rajkovic. Attempt saved. Gao Lin (China PR) left footed shot from outside the box is saved in the centre of the goal. Attempt saved. Aleksandar Mitrovic (Serbia) left footed shot from the centre of the box is saved in the bottom left corner. Assisted by Adem Ljajic with a through ball. Gao Lin (China PR) wins a free kick in the defensive half. Nemanja Gudelj (Serbia) wins a free kick in the defensive half. Foul by Li Xuepeng (China PR). Sergej Milinkovic-Savic (Serbia) wins a free kick in the defensive half. Substitution, Serbia. 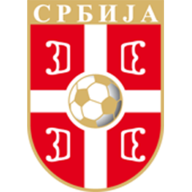 Predrag Rajkovic replaces Vladimir Stojkovic. Substitution, China PR. Xiao Zhi replaces Yu Hanchao. Substitution, China PR. Wu Xi replaces Hao Junmin. Second Half begins China PR 0, Serbia 1. First Half ends, China PR 0, Serbia 1. Attempt missed. Zhao Yuhao (China PR) header from the centre of the box misses to the right. 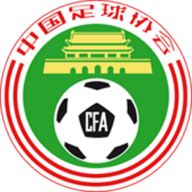 Assisted by Li Xuepeng with a cross following a set piece situation. Li Xuepeng (China PR) wins a free kick on the left wing. Foul by Antonio Rukavina (Serbia). Attempt missed. Yin Hongbo (China PR) left footed shot from outside the box is too high from a direct free kick. Wu Lei (China PR) wins a free kick in the attacking half. Attempt saved. Aleksandar Mitrovic (Serbia) header from the centre of the box is saved in the centre of the goal. Assisted by Antonio Rukavina with a cross. Attempt missed. Hao Junmin (China PR) right footed shot from outside the box is too high. Assisted by Zheng Zheng. Zhang Linpeng (China PR) wins a free kick in the defensive half. Attempt missed. Gao Lin (China PR) left footed shot from the left side of the box is close, but misses to the left. Assisted by Li Xuepeng. Attempt missed. Wu Lei (China PR) right footed shot from outside the box is too high. Assisted by Gao Lin. Foul by Zhang Linpeng (China PR). Aleksandar Mitrovic (Serbia) wins a free kick in the defensive half. Attempt saved. Yu Hanchao (China PR) left footed shot from outside the box is saved in the bottom left corner. Assisted by Hao Junmin. Foul by Filip Kostic (Serbia). Offside, Serbia. Antonio Rukavina tries a through ball, but Dusan Tadic is caught offside. Dusan Tadic (Serbia) wins a free kick on the right wing. Foul by Zheng Zheng (China PR). Goal! China PR 0, Serbia 1. Adem Ljajic (Serbia) right footed shot from the centre of the box to the bottom left corner. Attempt blocked. Dusan Tadic (Serbia) right footed shot from the centre of the box is blocked. Attempt blocked. Dusan Tadic (Serbia) left footed shot from the centre of the box is blocked. Assisted by Filip Kostic with a cross. Attempt saved. Sergej Milinkovic-Savic (Serbia) right footed shot from outside the box is saved in the centre of the goal. Assisted by Adem Ljajic. Foul by Adem Ljajic (Serbia). Yin Hongbo (China PR) wins a free kick in the defensive half. Attempt blocked. Dusan Tadic (Serbia) left footed shot from the right side of the box is blocked. Assisted by Sergej Milinkovic-Savic. Hao Junmin (China PR) wins a free kick in the defensive half. Attempt saved. Adem Ljajic (Serbia) right footed shot from outside the box is saved in the centre of the goal. Assisted by Dusan Tadic. Attempt missed. Dusan Tadic (Serbia) left footed shot from the centre of the box is close, but misses to the right. Assisted by Filip Kostic with a cross. Offside, Serbia. Filip Kostic tries a through ball, but Dusan Tadic is caught offside. Sergej Milinkovic-Savic (Serbia) wins a free kick on the left wing. Foul by Yu Hanchao (China PR). Attempt blocked. Aleksandar Mitrovic (Serbia) right footed shot from the left side of the box is blocked.